Tired of all that sightseeing? 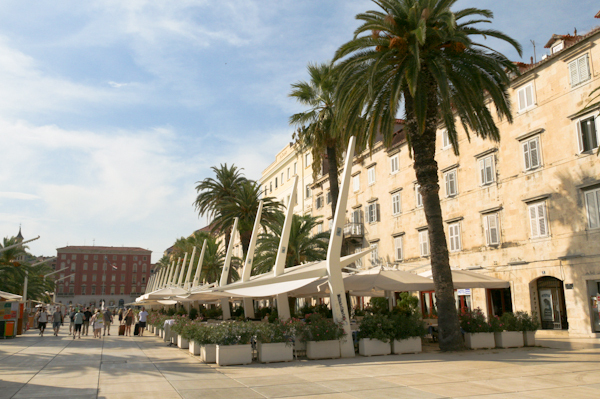 Here’s some options for eating and drinking in Split! 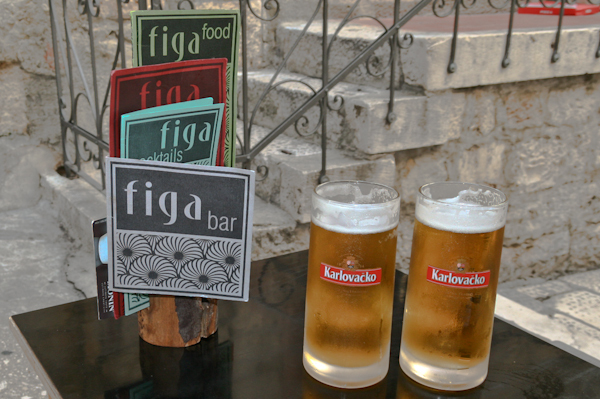 A great and popular choice for a traditional Dalmatian konoba in the heard of the city (i.e. the Diocletian’s Palace area), the rustic and slightly retro interior gives off a very cosy feel. Wallet-friendly too – try one of the large, deliciously fresh salads for a light lunch, or go for something more traditional such as seafood (seafood spaghetti, for example) or fish. Take in the interesting furnishings and decoration! A great place to kick back and relax with a cold beer or a cocktail, the exterior of this place has cute little tables and seats with colorrful cushions that are positioned up several sets of steps in one of Split’s narrow Diocletian’s Palace ‘streets’. If you need something a little more substantial and less liquid, there’s also good Dalmatian fare for snacking on. “Since 1980” shouts the menu, this place is apparently very popular with the locals and we were certainly the only non-Splicani there when we visited. With three full pages of pizza options on the menu, you’re sure to find something that suits your tastes – as well as pizza combinations you might not have thought of before. 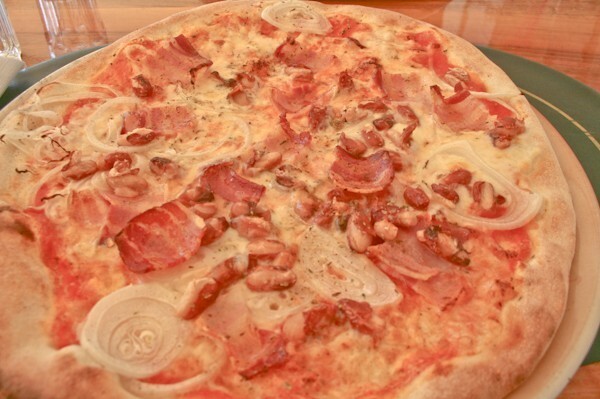 Pizzas are priced around 60 Kunas and are large and tasty. There’s a small but comfortable outdoor terrace area for sitting. You can’t really get a ‘seat’ with a better atmosphere and surroundings in Split than at the Cafe Luxor, perched as you are (on a cushion!) on steps in the Peristyle – right by the Cathedral. Food available, but it’s more enjoyable to just have a cold drink or coffee and watch the world (i.e. tourists!) go by. You can’t get a better atmosphere than this! Relatively new, this one’s already gotten rave reviews. A smart establishment – reflected in the fact that it’s slightly pricier than other bars – it’s the place to come to try out some Croatian wine and…guess what, cheese! Ask your server for recommendations based on what you feel like. Pleasant interior space, outdoor seating is also available. In a courtyard featuring a number of cafe bars, try this one for leisurely snack, afternoon coffee or a few drinks. Comfortable seating and quick service. If you had down to ‘legendary’ Bacvice Beach and keep walking on the path next to the sea to next few beaches (Ovcice and Firule), you’ll come across a number of cafes and restaurants, for example Ovcice Restaurant. Try any one for a cooling drink (a limunada – technically lemonade, but more like a citron presse – certainly hits the spot) whilst overlooking the lapping waves and the sailboats out to sea.